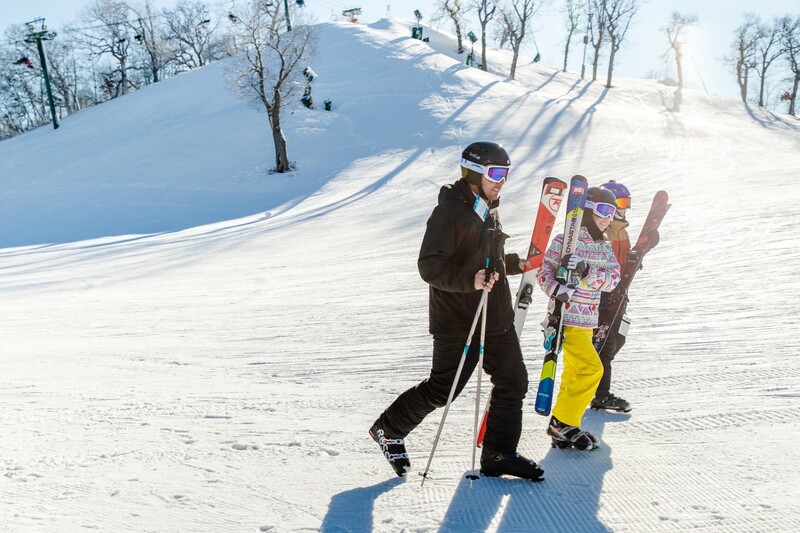 The Mountain Top at Grand Geneva in Lake Geneva is one of Wisconsin’s premier ski and snowboarding destinations. Whether you're a first-time skier or an avid enthusiast, you're sure to discover your perfect snowsports experience. Thrill-seeking snowboarders will find action at our 6-acre terrain park while cross-country skiers can explore more than six miles of trails. Winter fun goes beyond skiing with sledding and ice skating available too. From group rates to day packages and midweek specials, as well as season passes, there is an adventure for every budget. Ticketing and rentals were recently updated for faster service. Lessons with a conveyor lift in the teaching area. New program this season is Helmet Rental and Sales. Get Snow Reports, Powder Alerts & Powder Forecasts from Grand Geneva straight to your inbox!